Cloud vs On-Premise – Which is right for you? CLOUD: Easily connect to SmartSoft’s secure servers (via SOAP or REST) and scale up or down as required. Ideal for customers who want a quick start, with no infrastructure requirements, and don’t want to manage data updates internally. ON PREMISE: Hosted locally on desktops or servers behind your firewall, and maintained by your team. Easily integrated into your existing systems, and perfect for customers with protected information or who want unlimited record processing. Point of Entry vs Batch – What is the difference? POINT-OF-ENTRY: Single address lookup is easily integrated into your existing systems, performing single address lookup in real-time, validating customer information before it enters your database. BATCH: Correct, standardize and update customer data across your entire database to ensure your customer data is always accurate and up-to-date. 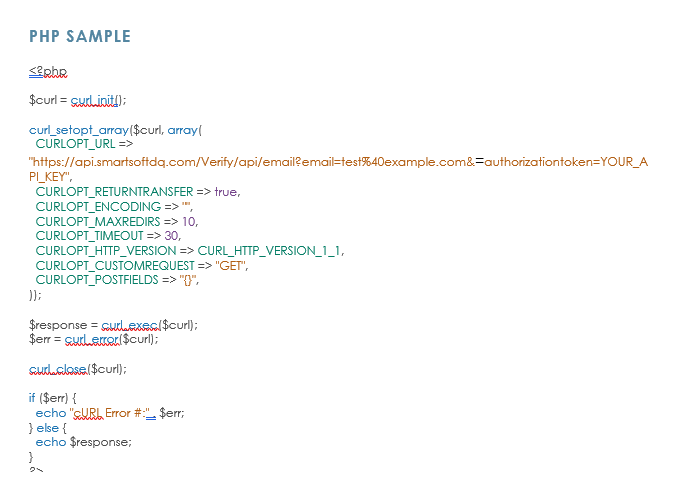 The Email Validation REST API provides a bridge between your own application or website and the email validation service, a service that validates the quality of an email address. 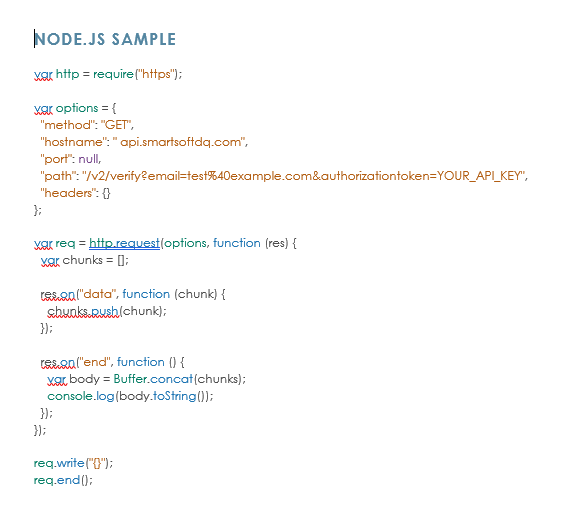 The Email Validation RESTful interface allows the developer to develop a routine that passes input data across the web to our servers.